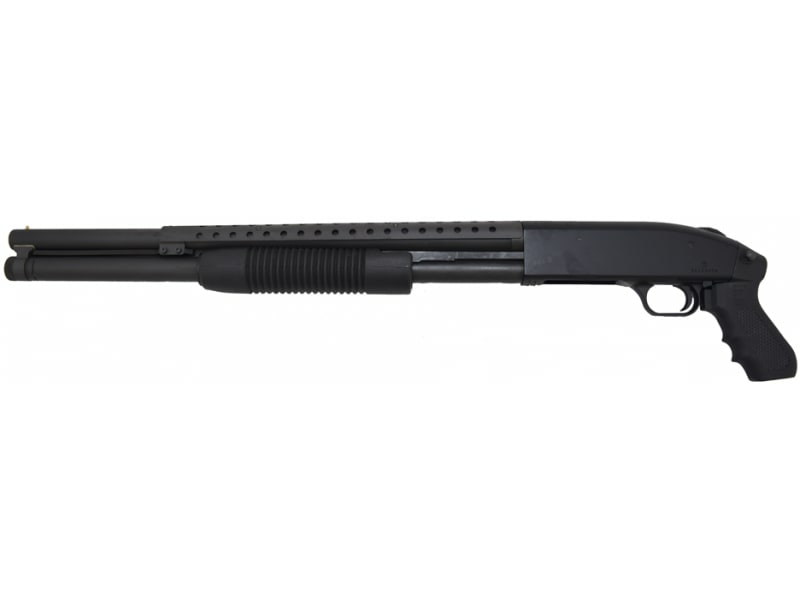 The highly popular Mossberg Persuader #8 Shot 12GA pistol grip shotgun with 20" barrel. A defacto choice for home defense. 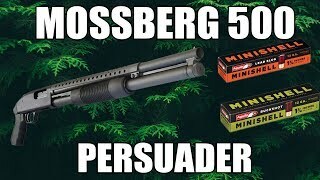 This is a Mossberg 500 Persuader. 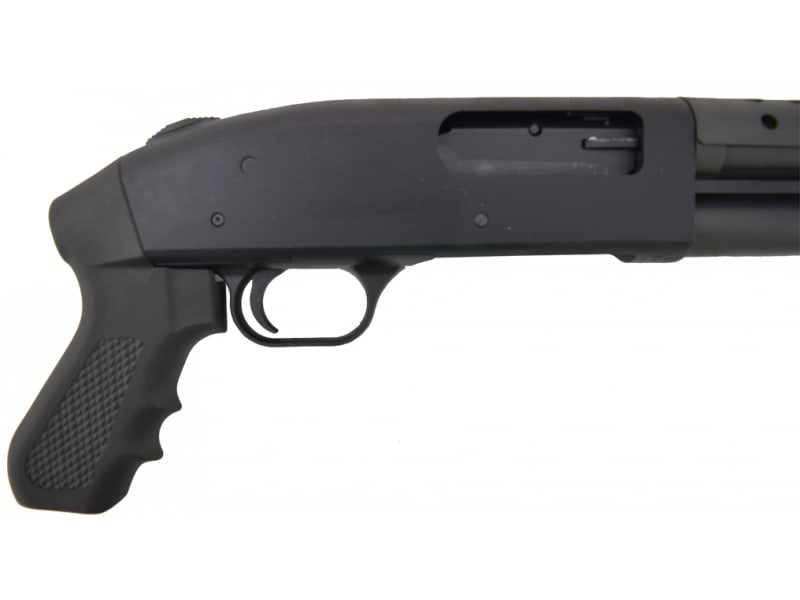 It is a Cruiser model pistol grip 12 gauge shotgun with a 20 inch barrel. 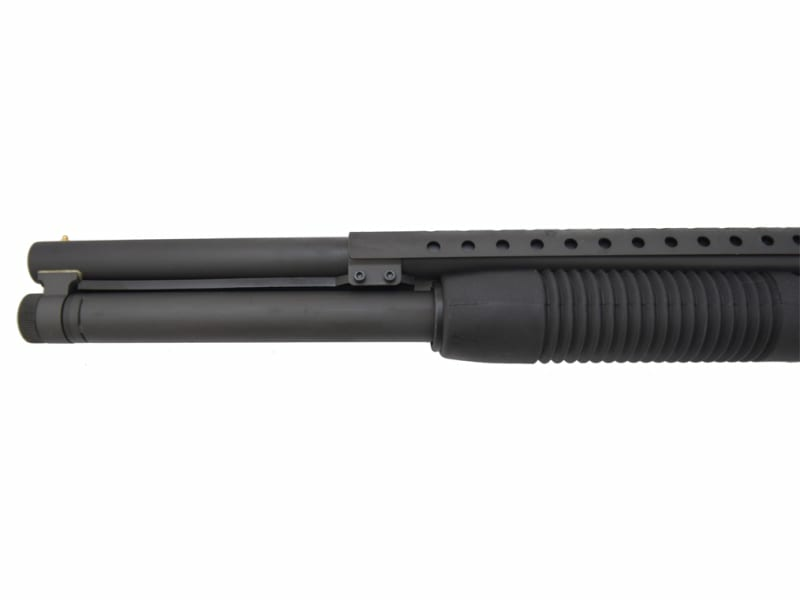 The feed tube on this model extends the full length of the barrel and it has an 8 round capacity. 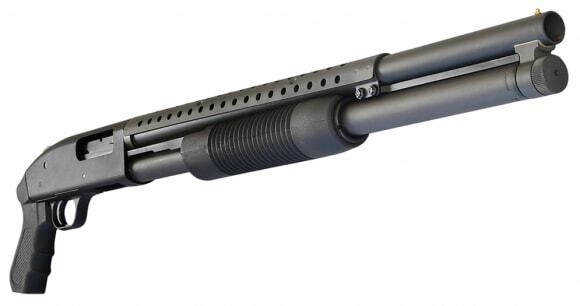 Weapon features Dual Pump guide rails, vented heat shield, a parkerized finish, and posi-lock slide and release safety. 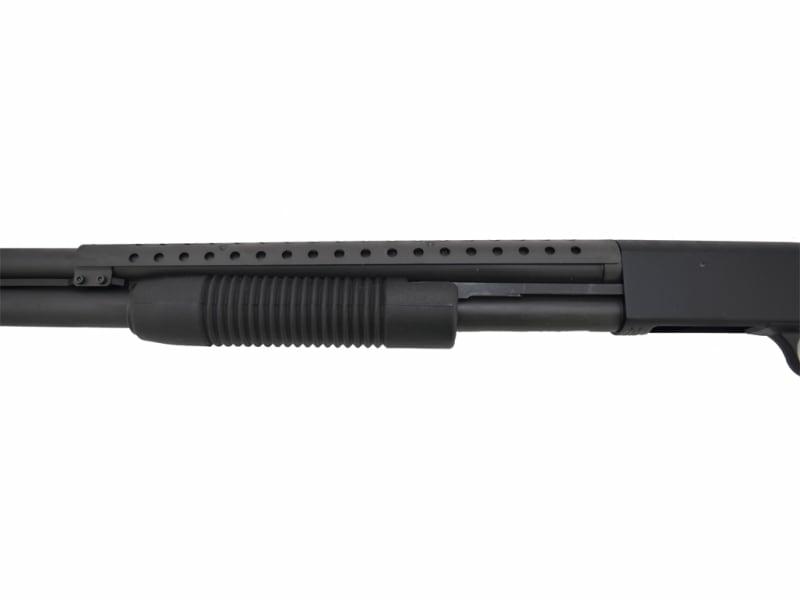 Chambered for all 2 3/4 and 3 " shells. 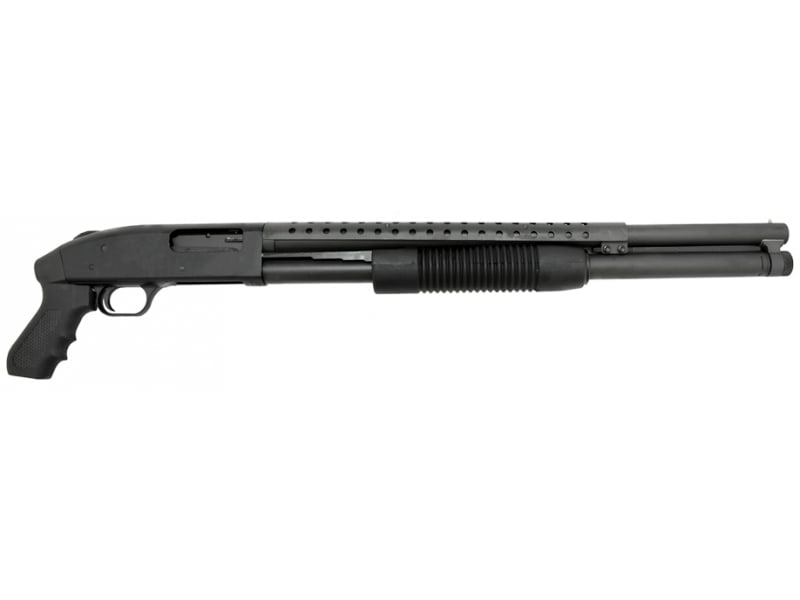 This is the perfect all round home defense or tactical shotgun and all aftermarket Mossberg 500 stocks will fit if a full stock is desired. Perfect for your bug out kit. 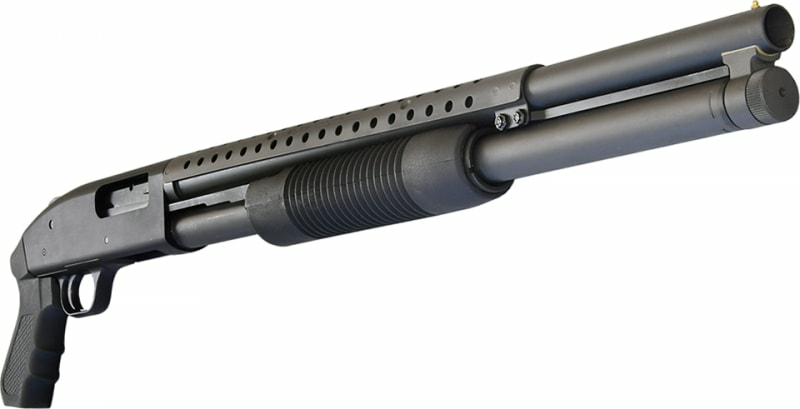 Pump-action. Dual-action bars. Factory installed heat shield. Ambidextrous tang safety. Meets all Mll-S-3443. Positive steel-to-steel lock up requirements. Includes gun lock. Ten-year limited warranty. Blue finish. 12 guage, 8-shot, 20" cyl. barrel. Matte black stock/forearm.